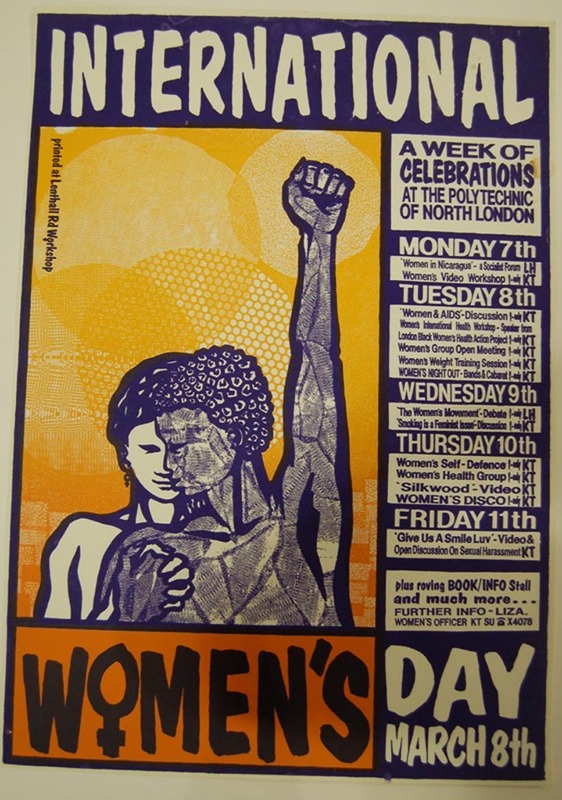 The Library is a unique resource in Scotland, housing a huge collection of materials by, for and about women. 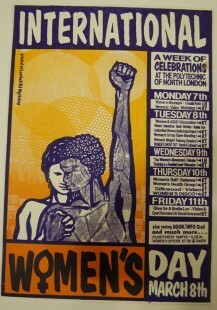 An accredited museum, lending library and archive, the Library holds a rich and diverse collection of books, artefacts and archives exemplifying the lives of women, charting their historical and contemporary achievements and contributions, all donated by users, supporters, members and publishers. 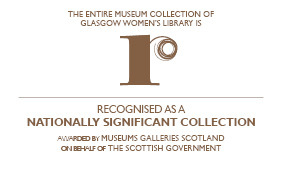 Glasgow Women’s Library is the only Accredited Museum dedicated to women’s history in the whole of the UK, and in December 2015 we were also designated as a ‘Recognised Collection of National Significance’. Our collection of books, museum artefacts and archives, like our wide array of public events, is open to all. What will you find at the Library? The lending library collection contains books on a broad range of subjects relating to women’s lives and experiences, and a wonderful selection of fiction and poetry by women writers. The archive and museum collections contains diverse and rich collections of books, archive materials and objects (including posters, banners, photographs, artworks, t-shirts, postcards and badges) from the nineteenth century to the present day. You can now search both the lending library catalogue and the archive collection catalogue – please be aware that both catalogues are a work in progress, and currently contain only a fraction of the Library’s collection. If you can’t find what you’re looking for, please contact the Library. The collections team is dedicated to opening up the library collection to as wide an audience as possible. In Reading Ideas, our librarian Wendy Kirk and her volunteers, along with library users, pick out books old and new to inspire and challenge you. In From the Archive, our archive team explore some of the fascinating and unique items to be found in the archive collections. We’re also looking for your book recommendations – let us know what books have inspired you! Donations are always very welcome, as the entire collection has been built up with donated material. Find out more about how to donate books and other materials to the GWL collection. Following our move to our permanent premises at 23 Landressy Street and the refurbishment of the building to provide dedicated archive and museum spaces, our collections are now being sorted and catalogued. Although the collections are now accessible (after several years in storage! ), we do ask people to contact us in advance if they wish to access material in the archive and museum collections. Whether you have a specific research request, have something in particular that you wish to see, or are more generally interested in our collections, please contact the Library. We are happy to answer any questions you may have about our collections and can help point you in the right direction with your research. We will aim to answer detailed research enquiries within two weeks. For research enquiries that require more than 30 minutes we will recommend that you pay for our research service. Please be aware that our collections team receive a high volume of research enquiries especially during the academic year, but will aim to answer your enquiry as soon as possible.